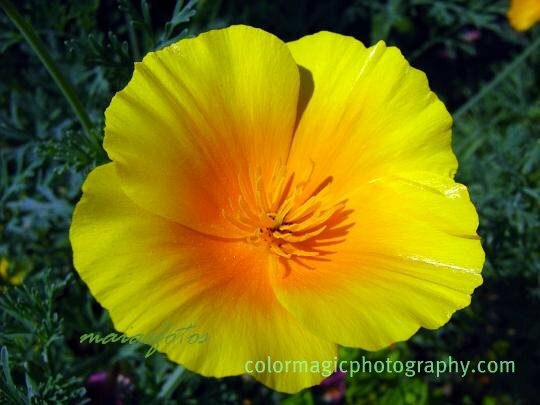 Welcome to Macro Flowers Saturday 59! 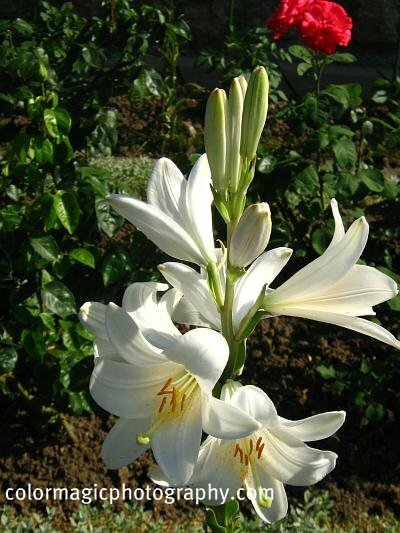 White lilies are blooming in the gardens. They are one of the few flowers that tolerate the summer heat. Our roses are still a beautiful patch of color from the distance but on a closer look, they are all burned by the sun. 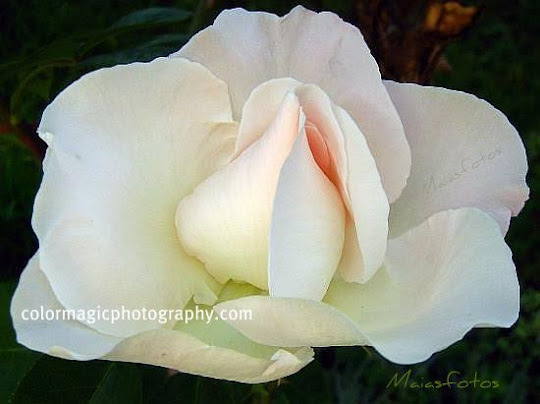 I tried to take some new rose photos and I couldn't find one in a decent shape. I took a walk yesterday to see what is going on in the neighbors' gardens. 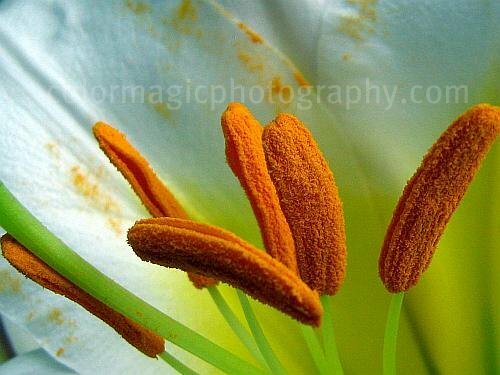 White true lilies (Lilium), tiger lilies (or fire lilies), as well as the common orange day-lilies are among the June flowering beauties, taking relatively well the hot weather. 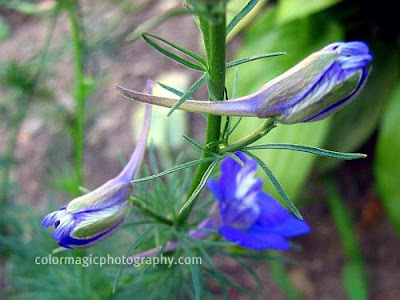 Larkspur flowers are still blooming, clematis vine started to bloom and it is full of flower buds. 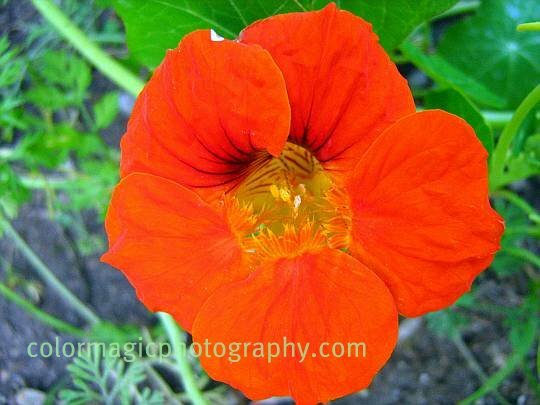 What's flowering in June in your garden? 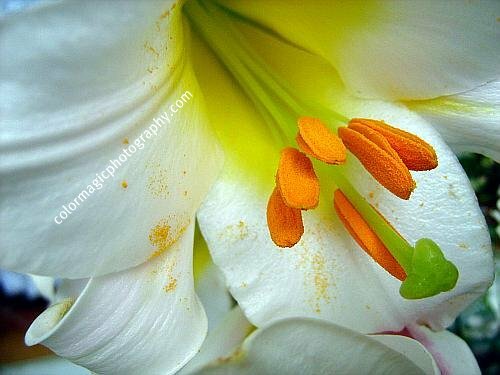 Welcome to Macro Flowers Saturday #58! 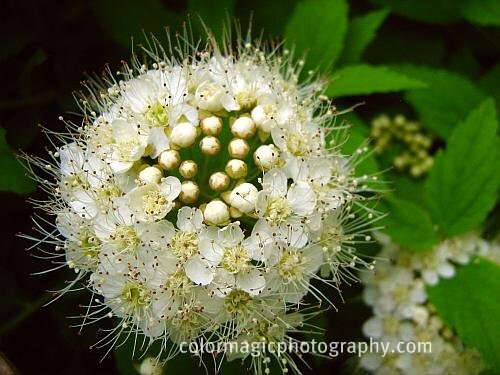 I have an interesting spirea flower to share today. I've never seen such a hairy spirea flower before. With its many, very long stamens, the flowers look like some delicate brush. 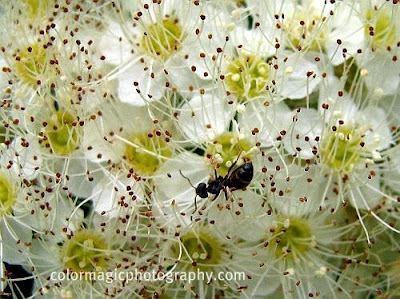 Though I tried to identify it, I couldn't find out what kind of spirea this is. I just found out that this is a Diablo Ninebark Shrubs - Physocarpus opulifolius. 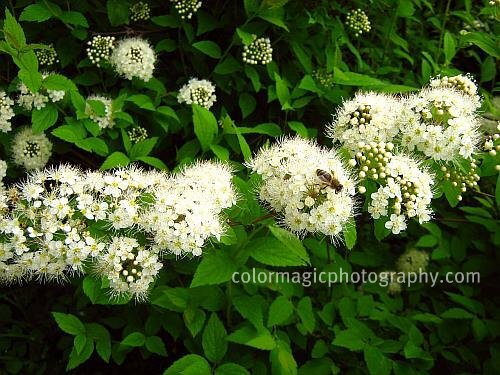 I've found this flowering spirea shrub on the roadside, squeezed between some others shrubs. It was about 1.8m tall but its spread was not visible. 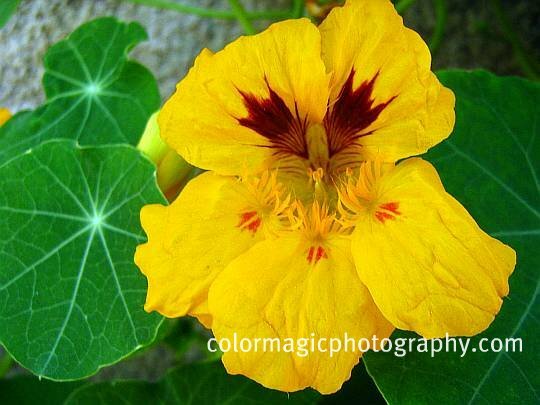 If someone knows its name, please share it with us, here on Macro Flowers Saturday. So, this is not a spirea but a Diablo Ninebark Shrubs (Physocarpus opulifolius). What a name!? Stan's wife was able to identify it and I checked, it's true. Thank you Stan and Mrs. Stan. 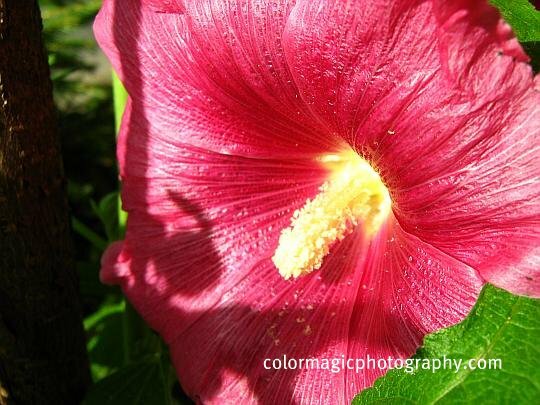 Hollyhocks, the most beautiful flowers of all mellows (Malvaceae) are blooming. 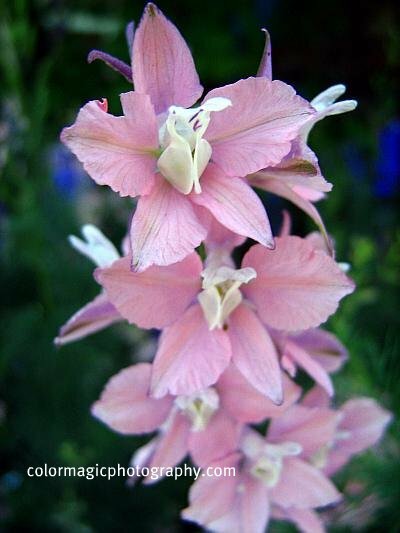 These humble old garden favorites stand tall an proud in wind and rain, producing delicate, sophisticated flowers directly on their hairy stems. 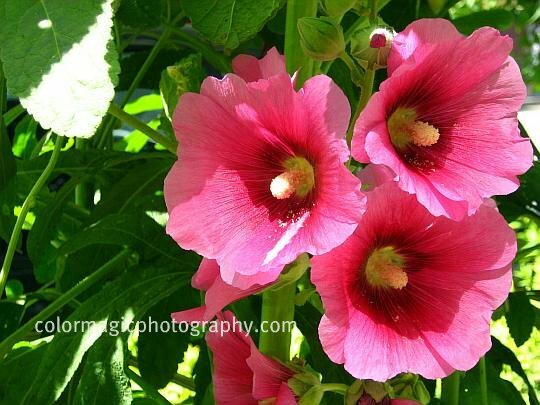 Hollyhocks (Alcea rosea) are charming accent plants with a majestic look, given by the heights of their stem and the great variety of warm flower colors; all shades of reds and pinks, purples and whites. 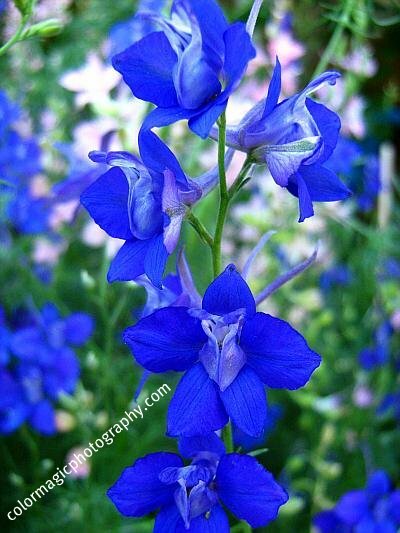 They are a beautiful addition to any garden, also planted in groups, along fences or border backgrounds, with a long flowering period that lasts till autumn. 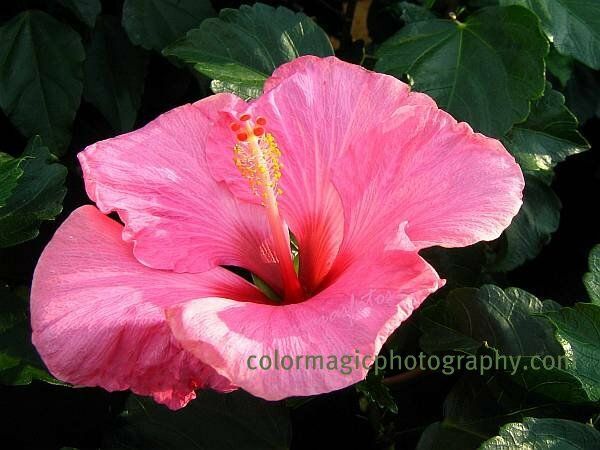 People admire them from old times, not just for their decorative aspect, but also for being totally maintenance-free. 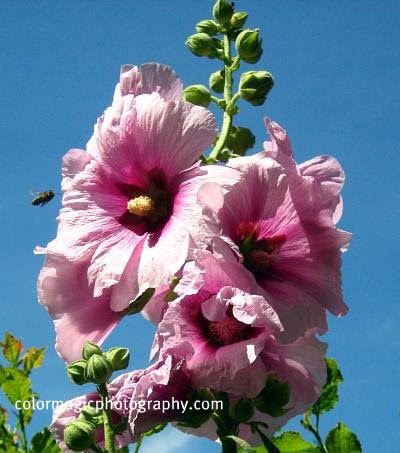 Unlike her other beautiful sisters, like hibiscus, hollyhocks grow in all soil conditions, on roadsides, even in wasteland and, reaching an amazing height of 2-2.5 m.
Hollyhock flowers are used medicinally for chest complaints, having emollient and diuretic properties, with similar action to Marshmallows. 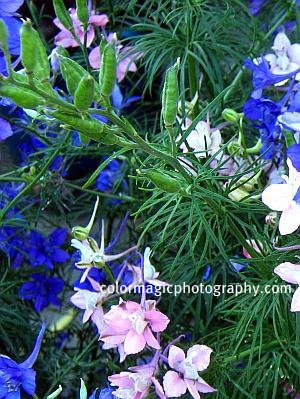 The flowers can also be used for coloring purposes. 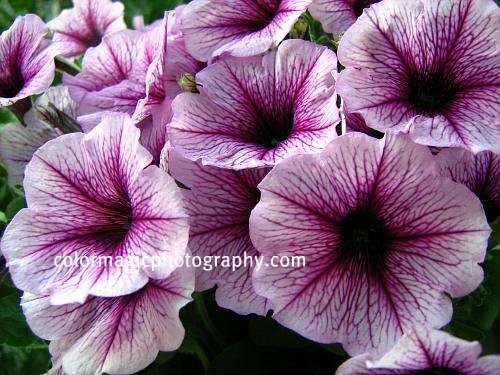 This is my new petunia or more exactly, this is how it looked like on the day I bought it, two weeks ago. 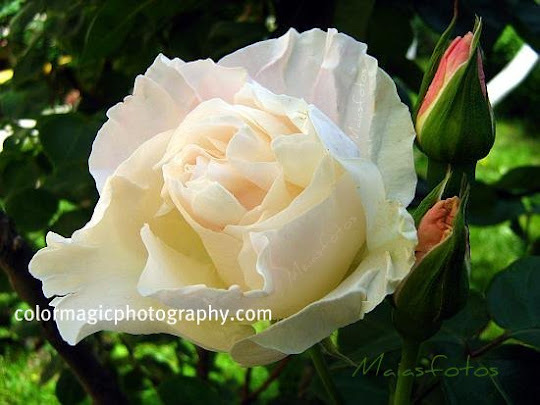 It was all covered with its beautiful white-lavender, trumpet shaped flowers. 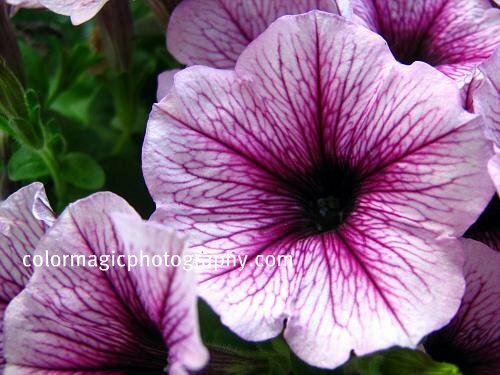 The first 3-4 days I kept this young petunia plant in the shadow, placing it on a north-west side exposure, after a few days. The later was a big mistake. 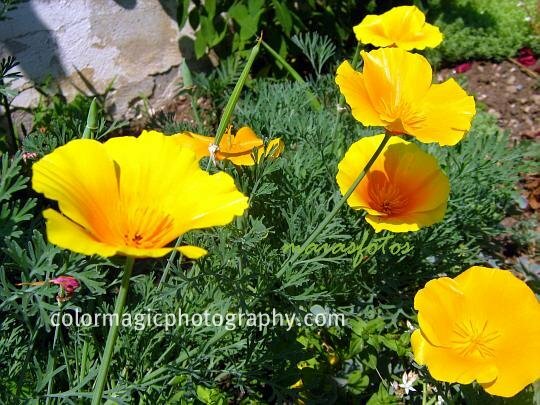 In the extreme heat of these last weeks, half of the flowers wilted until next morning, though it was getting only an hour or two of late afternoon sun. Petunias should bloom throughout the summer, so I'm deadheading it diligently hoping that it will restart branching and opening its new buds. If the weatherman is righ, some rain will cool down the temperature very soon. 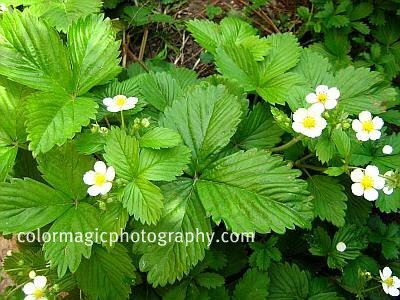 We have a few wild strawberries or woodland strawberries - Fragaria vesca, in the backyard. 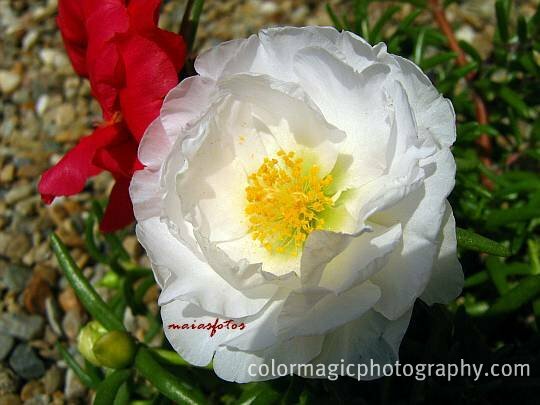 At the beginning of May I took these photos of the flowering plant and now, after three weeks, the tasty wild strawberries are ripe. The fruits have a strong flavor, but these here will not be picked, we just admire them. They don't produce runners but they self seed, we hope to have more of them in a few years. 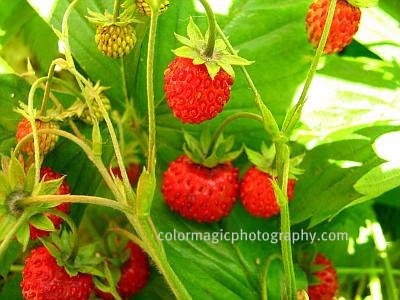 Woodland Strawberry or European Strawberry was widely cultivated until it was replaced by the garden strawberry in the 18th century. 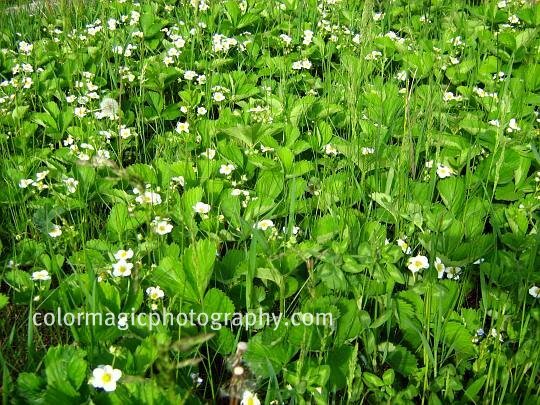 Wild strawberry grows along trails and roadsides, woodland edges and clearings in full sun or part shade. 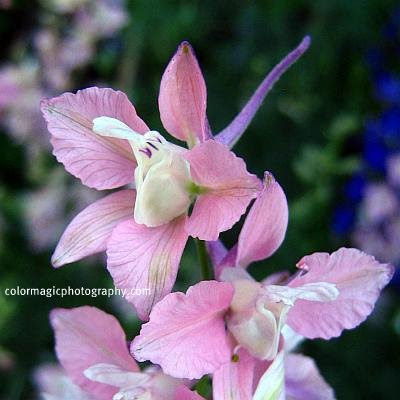 It is still collected and grown for domestic use. 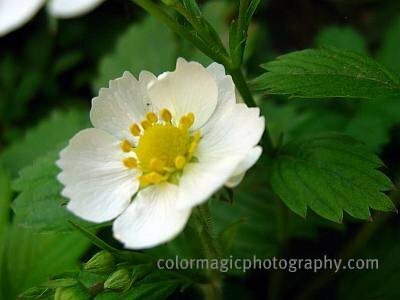 The cultivated variety is the alpine strawberry, with a longer flowering period and larger fruit as the common wild strawberry. 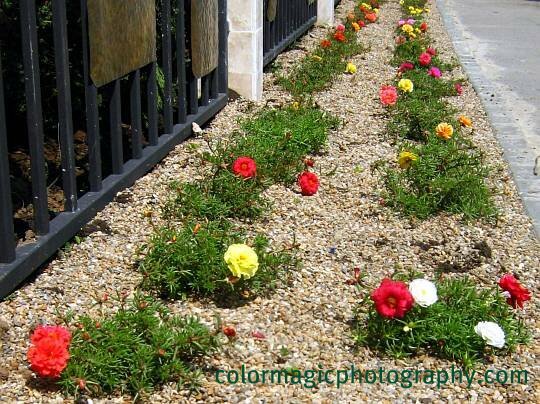 Plants without runners are often used as border plants and those with runners can form a beautiful ground cover. Variegated Yellow Archangel-Lamiastrum argentatum is a very hardy wildflower, distributed all over temperate regions. 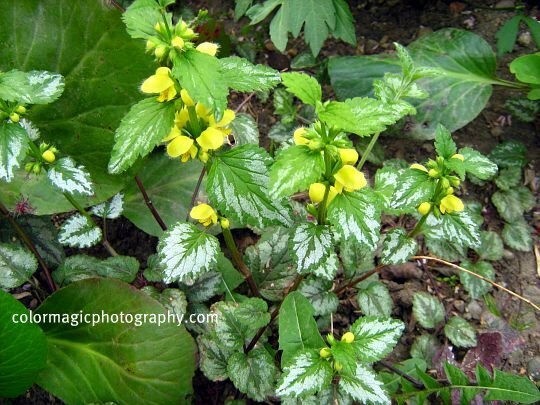 Variegated False Lamium, on one of its many names, its a perfect copy of the Yellow Archangel, except its leaves. 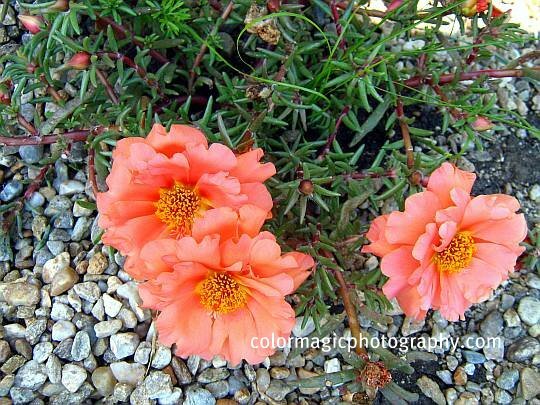 It spreads easily and grows in any soil and light conditions, from full sun to full shade. 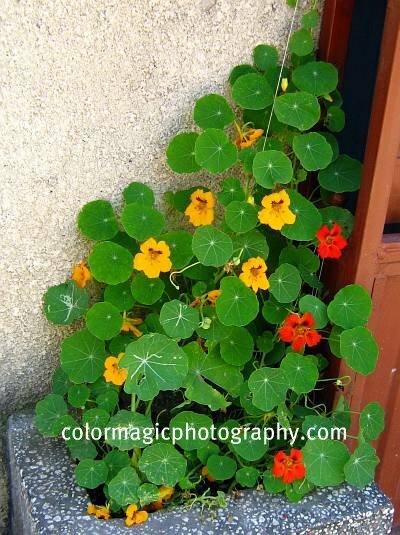 For this reason is often used as ground cover under trees and in places where nothing else grows. 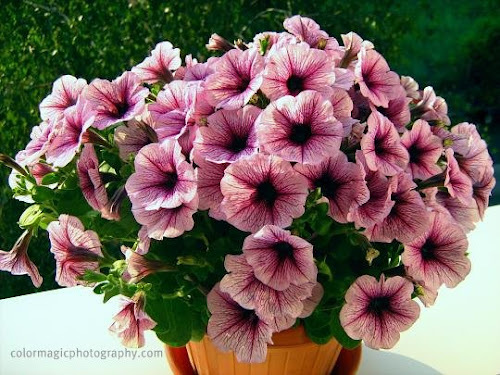 It is also a popular ornamental in borders and hanging baskets where it is easier to control its invasive nature. 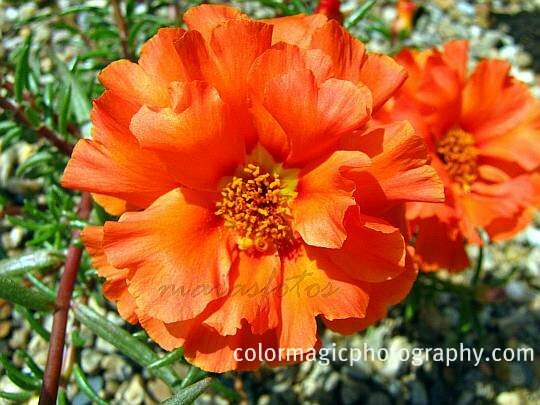 It flowers from April to June. 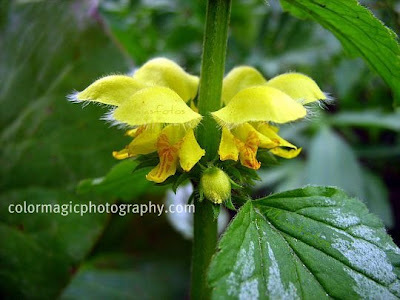 The flowers are soft yellow, similar to yellow dead nettle, growing in circular clusters around the stem between leaves. Its oval shaped leaves are toothed and hairy, with silvery-grey patches. 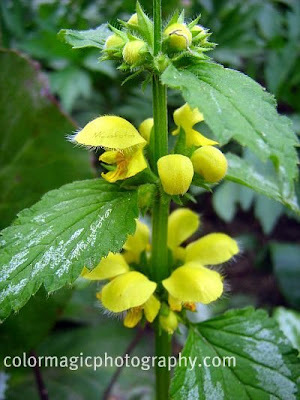 For many gardeners this plant is a nuisance, it is very persistent when it escapes and competes with other garden plants.